Malaria: Poems by Cameron Conaway may be the most important book published in 2014. Conaway, an ex-MMA fighter, tackles Malaria through poetry. 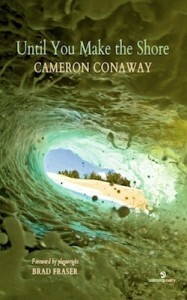 Conaway educates his readers on a plethora of issues by beginning or ending each poem with a quote or fact that illuminates his motivation behind it. Each poem is written in a different style from the one before or after it, making the book fresh until the end, but the real beauty behind the book is its social and educational importance. Educating through art is nothing new, but it is pretty infrequent considering its effectiveness. because to them you are what you have. While the book is not an academic paper that is full of important research or current programs designed to help fight the disease, such papers are intended for the professionals who focus on Malaria for forty hours a week. Instead, Malaria: Poems is for everyone else: people like me who spend most of their time — if not all of it — not thinking about Malaria. My interest in Malaria and its issues has increased since reading this collection, something that would never have happened if I had been presented with n academic paper, and I have a feeling that is exactly what Conaway intended. 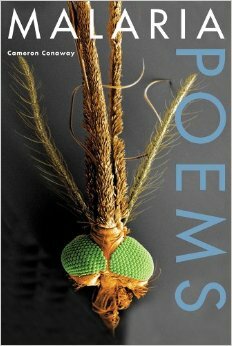 Malaria: Poems is published by Michigan State University Press and is 61 pp.